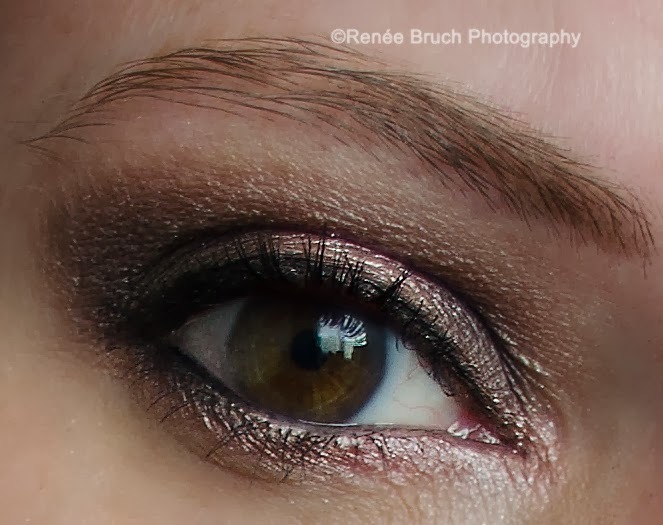 Renée Bruch Photography: 5 High End Beauty Products I Can't Live Without! 5 High End Beauty Products I Can't Live Without! Hi lovelies! I recently posted a blog about 5 drugstore beauty products I couldn't live without and I figured, "Why not do a post about 5 high end beauty products I can't live without?" So, I picked 5 products to talk about today. (As with drugstore beauty items, there are definitely more than 5 high end items I could have chosen!) These are items that I not only love and work very well for me, these are definitely products I will be repurchasing. Here's a photo of the 5 items I chose to talk about today. Yves St. Laurent Rouge Volupté Shine lipstick in #7 "Rose Infinite" - ($34.00 at Sephora) - This is a neutral pinky taupe shade and it goes with absolutely any makeup look. It is creamy, long lasting and very comfortable on the lips. I love this formula and this shade. I keep it in my purse at all times. Estée Lauder Double Wear Stay in Place Makeup - ($37.00 for 1 oz. at Macy's) - I am in love with this foundation! Super long wearing, full coverage and has a matte finish. I wear shade 2C3 Fresco 01. And, the price is not unreasonable considering it is a very high end brand. Mally Perfect Prep Primer - ($35.00 for 1 oz. at www.mallybeauty.com) - This primer is a type of pore filling primer, but the texture is unlike any others I've tried. It has a very unique mousse/whipped type of texture and it leaves your skin silky smooth. I let this sit for a moment to sink in a bit and I like to use this especially when I'm having problems with my skin being dry. Benefit Erase Paste - ($10.00 for the .11oz. mini size at Ulta stores. These are not on display at my Ulta, so I had to ask for this size specifically) My shade is No. 2 - Medium. This is a salmon toned, color correcting concealer that is very emollient. You only need the tiniest amount to cover the problem areas. I've been using this for about 6 months and I've barely made a dent in it! I use this mainly in the corners of my eyes to counteract the blueness I have there. Mally Evercolor Poreless Face Defender - *I own the non-travel version* ($40.00 for .46 oz. of product). ****I went on www.mallybeauty.com today and this non-travel version is currently on sale for only $30.00!!! I highly recommend you check it out!) Unfortunately, the non-travel version does NOT have space for the sponge it comes with, nor is there space to add your own. There is a travel version that comes with a sponge in the compact and it costs $40.00 on Mally's website. (I'm sorry...but I could not find how much of the product is in that compact.) This is THE BEST touch up product in my opinion. It mattifies, fills in pores and does not disturb your makeup. This is a product I recommend to everyone! Take advantage of the sale. Even though there is no place to keep the sponge, if I carry it with me I keep a slim, round foundation sponge in my purse in some protective plastic packaging. It's worth the slight inconvenience. HONORABLE MENTION: Colored contact lenses from www.desiolens.com (Please visit their website for pricing.) In my opinion...beauty related means anything from makeup and accessories...anything that makes you feel beautiful! I think of my colored lenses as a beauty accessory. I absolutely love them! 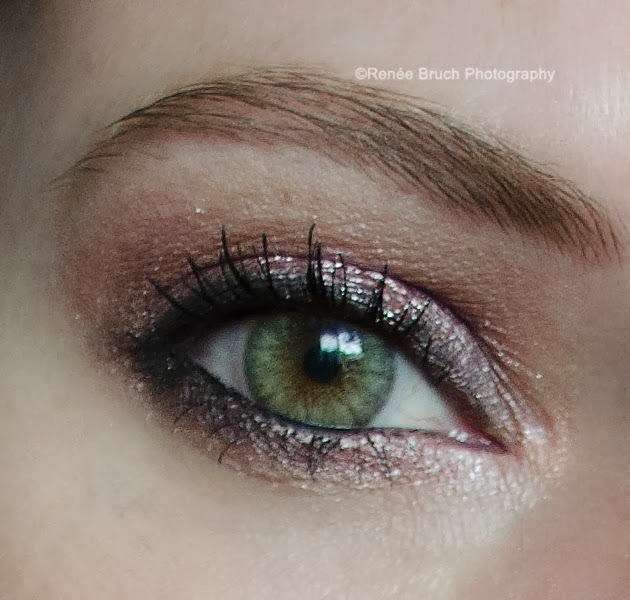 So, as you can see...the "Desert Dream" on my brown eyes looks very natural. I hope to do a full and in-depth blog review showing several different colors and, in that post, speak more about the company, my experiences with the lenses and customer service, etc. But, I did want to at least give these lenses an honorable mention in this post because I do wear them as accessories. There are my 5 high end beauty products I can't live without everyone! (Make that 6 counting the lenses!) In my opinion, these products are worth the extra money because they work for me. And, as always, these are just my experiences and what works for me may not work for you. Comment down below and tell me what your must have beauty products are! Drugstore or high end! I would love to know! If you love the full coverage and staying power of a long wearing matte foundation, but you feel as if it leaves you looking "flat", try a couple of spritzes of NYX Dewy Finish setting spray. It won't give you a really dewy look, but it will help to give your skin a more natural finish and a slight glow. If you find that you are having trouble blending a long wearing foundation with a brush, try applying it with a damp sponge such as a Beauty Blender. This will help you get a more even application and it will also sheer out the foundation just a bit. Mix a small amount of a regular or tinted moisturizer with your long wearing foundation. This will not only sheer out and add some moisture to the foundation, it will also make blending with a brush easier. REVIEW! Desio Sensual Beauty Colored Contacts! e.l.f. cosmetics "Buys, Trys or Pass it Bys"